Wednesday, December 2nd, 2015 at 11:13am. The Holidays are right around the corner and south Florida will start lighting up with beautiful ornaments and festive décor. 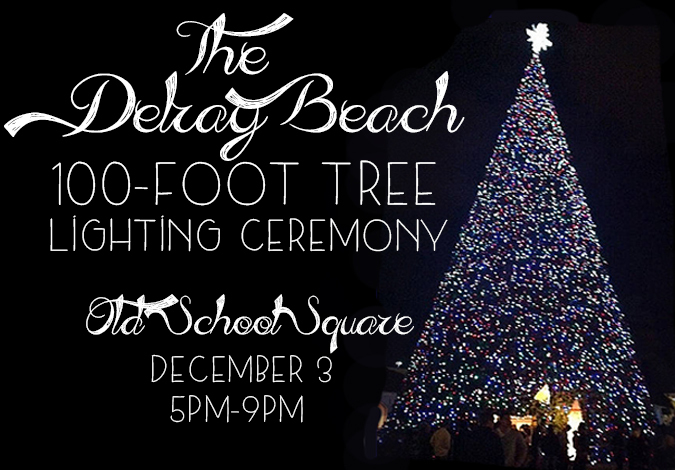 Taking place tomorrow is the annual celebration of the Delray Beach Tree Lighting. Every year around the holidays Delray Beach lights a 100-foot Christmas tree. The tree is a famous ornament that decorates the Old School Square grounds. It is so large that spectators can even walk through the enormous tree.